At Outsource2india, our MEP services include specific expertise on plumbing and firefighting system design which serves the purpose without digging a hole in your pocket. Our topnotch plumbing and firefighting design services cater to a wide range of industry verticals meeting requirements from architects, engineers, builders, contractors and public health and utilities surveyors etc. (working on residential, corporates, hotels, resorts, commercial, retail, airports, healthcare and education, industrial facilities, research laboratories, power and gas plants, or theme parks and recreation centers). We provide customized designs within a stipulated time-period, with caution since even minutest details can change the entire plumbing and firefighting system to get flakey or act erroneous. 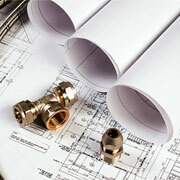 Why Choose Our Firefighting and Plumbing Services? If you are looking for an outsourcing partner for all your plumbing and firefighting system related designing or modeling work, then Outsource2india comes with over 20 years of deep industry expertise with extended BIM services that fit all aspects of construction and sustainability projects. So, if you are in search of reliable plumbing and firefighting services in India, then you are at the right place. Get in touch today to know how we can help take the load off your plumbing and firefighting design work.